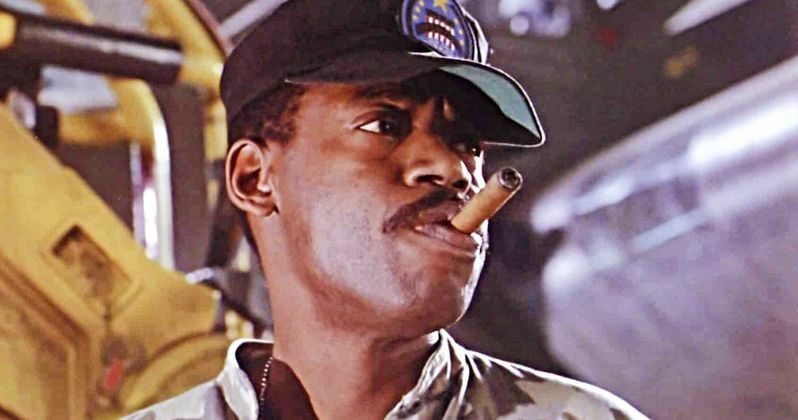 Today brings about some very sad news for fans of James Cameron's Aliens, as we can confirm the passing of Al Matthews at the age of 75. A neighbor recently found the actor unresponsive in his Spanish home, where he had been living since retiring there in 2005. Matthews was declared dead soon after he was found, and the official cause of death will be revealed after an autopsy. Aliens has a very strong cast, but Matthews might have had the most quotable lines in the film. Notably, nobody can ever forget the way he gets his team moving in the morning. "Alright, sweethearts, what are you waiting for? Breakfast in bed?" Apone would ask them. Humorously, when one soldier complains about his feet being cold, the sergeant responds, "What do you want me to do, fetch your slippers for you?" Certainly, Matthews' portrayal of Apone is one of the film's most entertaining aspects. While his most well known role is certainly as the fan favorite Aliens character, Matthews had appeared in many other films during this career. He shares a key scene with Christopher Reeve in Superman III as a fire chief, which sees Matthews deliver the memorable line, "That man is a miracle." Matthews can also be seen in films like The Fifth Element and Tomorrow Never Dies, and was always recognizable for fans of the actor. In 2013, Matthews would reprise the role of Sergeant Apone for the video game Aliens: Colonial Marines. Released 27 years after the premiere of Aliens, it was a fun throwback for both fans of the film and Matthews himself. The actor also lent his voice to the 2011 video game, Operation Flashpoint: Red River, playing the role of Colonel Shannon Hardaway. Prior to his passing, Matthews had been cast as Williamson in the upcoming film The Price of Death. A Western movie directed by Chip Baker, the film is in post-production and is set to be released sometime in 2019. While details on Matthews' role are unclear, the movie focuses on a bounty hunter and a condemned outlaw, both of whom are being pursued by a ruthless gang of bandits. This will be the only movie role for Matthews since 1997, and seeing him in this film will be bittersweet. Portraying military men wasn't a stretch for Matthews, as the man was a real-life war hero as well. The actor spent spent six years in the United States Marine Corps, even serving in Vietnam. During his time as a Marine, Matthews would earn thirteen combat awards, which includes two purple hearts. Like his character Apone, Matthews had become a sergeant in his military career, serving with Kilo Battery, Fourth Battalion, 11th Marines, 1st Marine Division. Al Matthews was a hero both on and offscreen, and our thoughts are with his family, friends, and fans. This news was first reported at El Pais.